Ah China Pearl. It has been over a year since I’ve been here for dim sum. 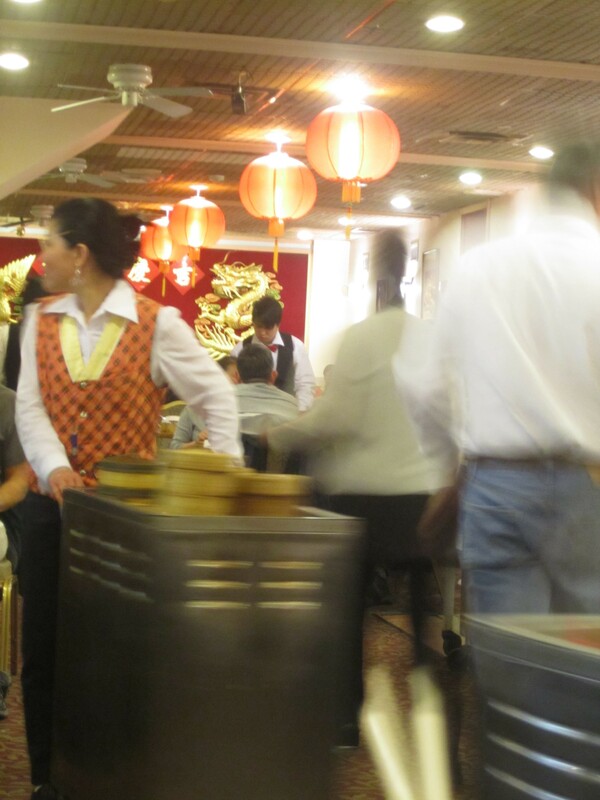 The red interior with golden dragons, hustle and bustle of diners and lots of women aggressively pawning food selections onto you and then stamping the dishes chosen on the bill. The variety and value brings me back. The greens with oyster sauce were crisp and tasty. 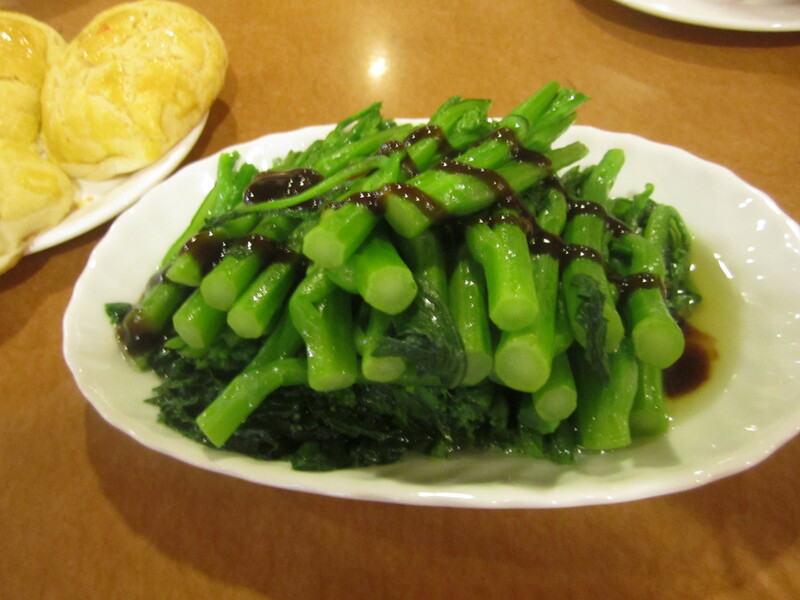 In addition to tea, it is nice to have some vegetables to cut all the carbohydrates and fried dishes. 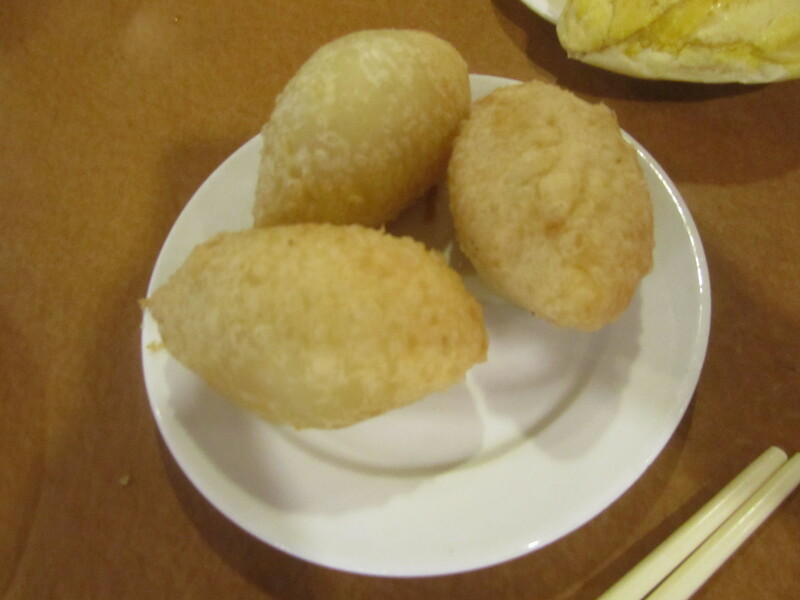 The taro croquette had a crisp exterior, chewy interior and a nice taro and pork filling. 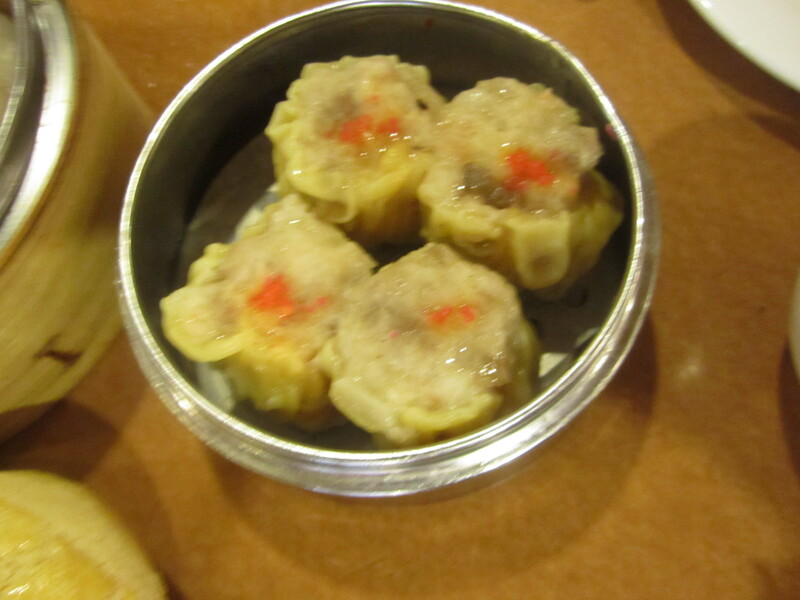 The shu mai dumpling had a nice mix of steamed pork and shrimp filling. 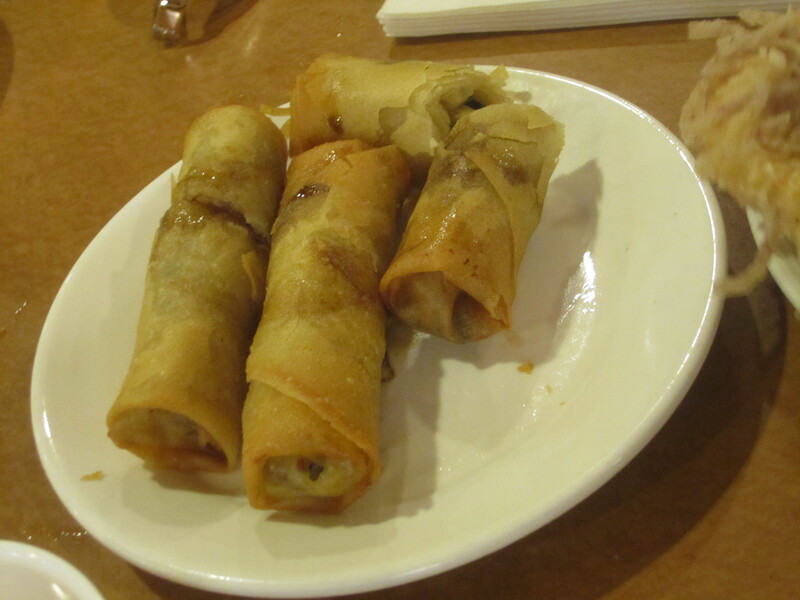 The crispy fried egg roll had a pork and green onion filling. 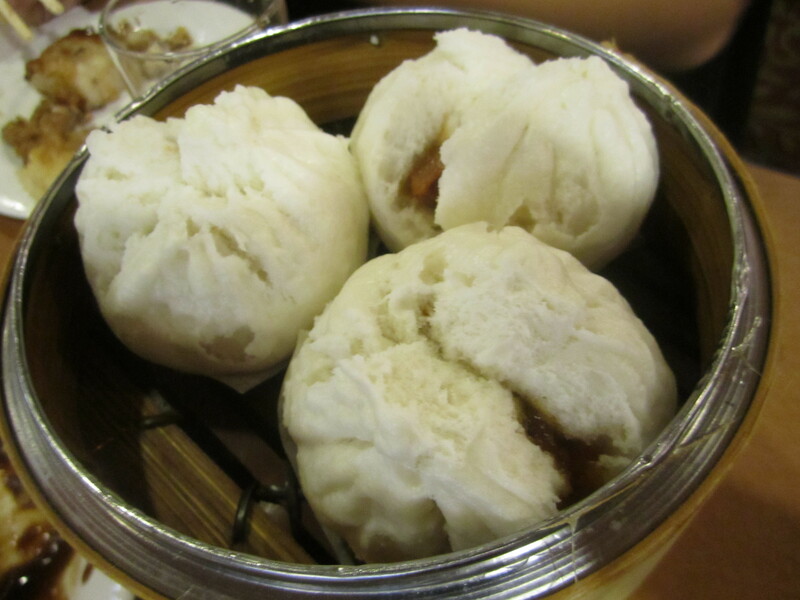 We loved the pork steamed buns. 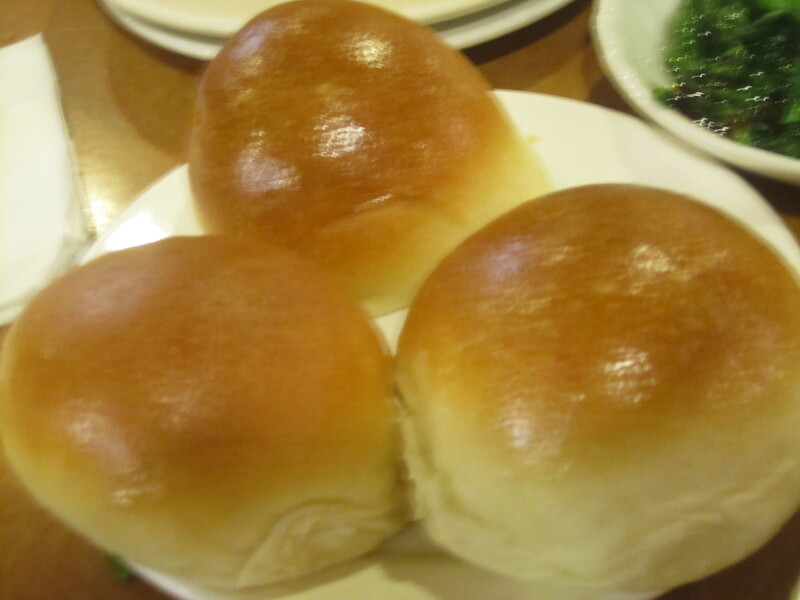 The soft dough steamed and baked with sweet, red bbq pork. The taro shrimp are one of my favorites. I really enjoy the shrimp filling with fried taro shreds. 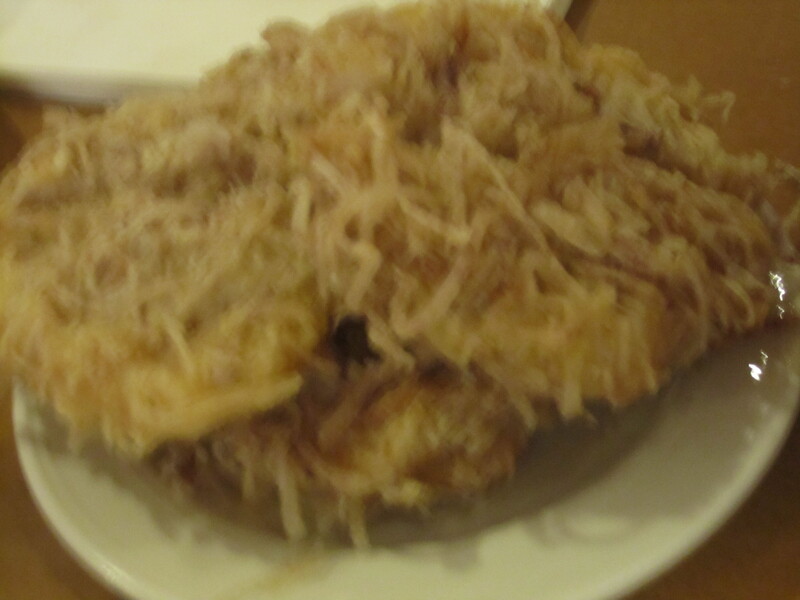 It’s like a shrimp filled potato latke. 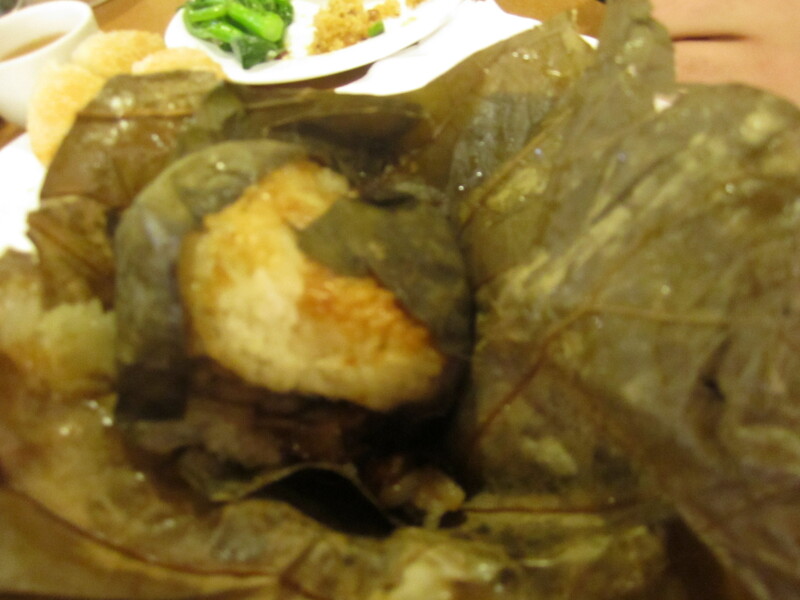 The lotus leaf chicken rice has a fragrant lotus leaf flavor which seeps into the tender chicken rice. 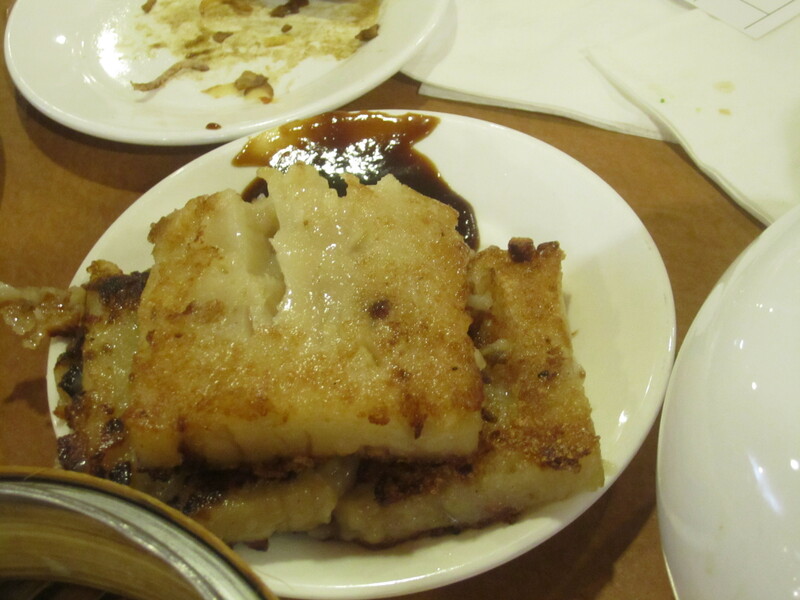 The turnip cake is pan grilled and served with oyster sauce. 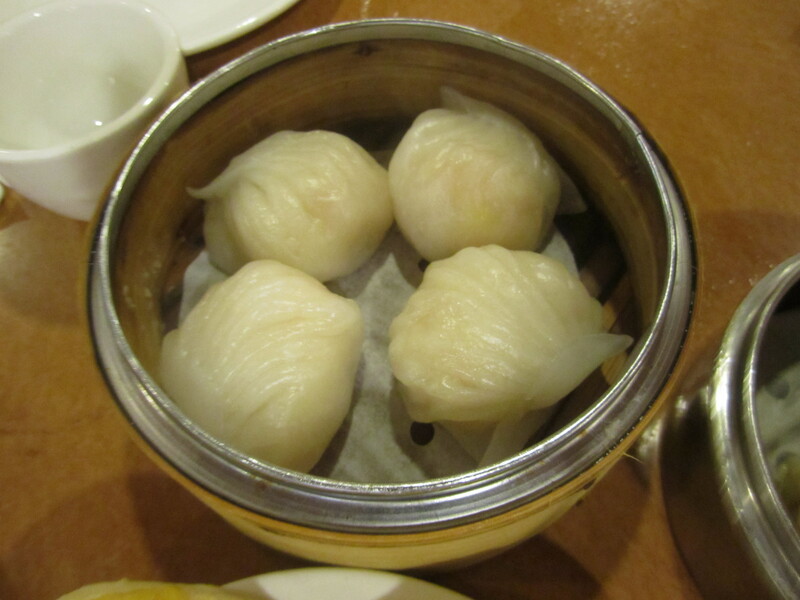 The taro dumpling was a new discovery and a fantastic new dish. 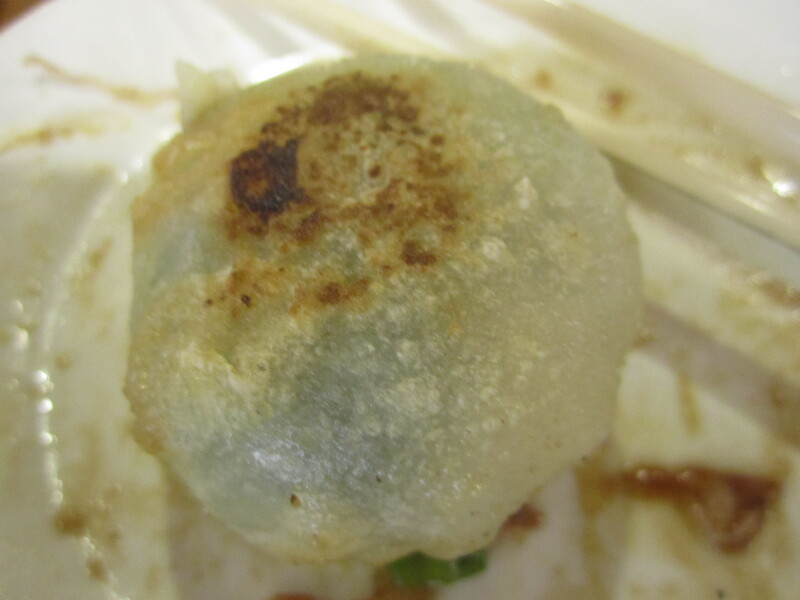 It is a pan fried dumpling with meat filling. 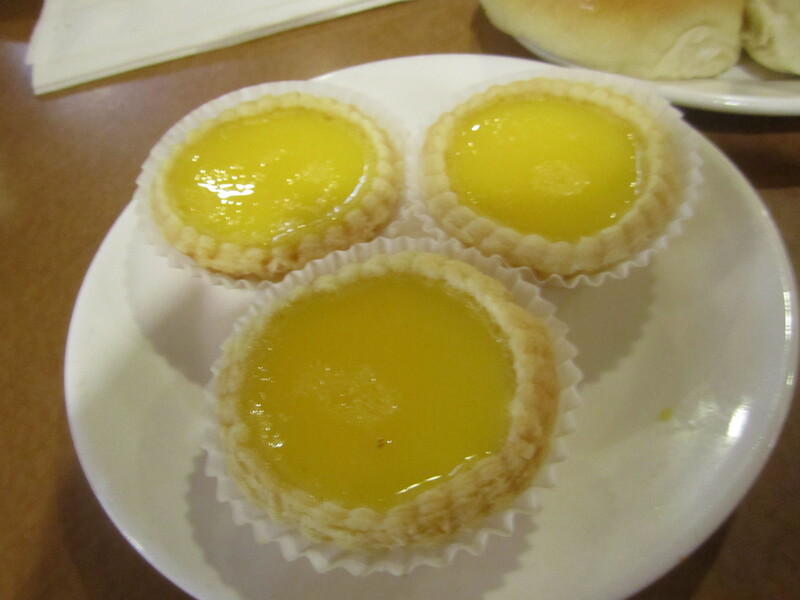 The egg custard was a bit too eggy, but still a nice sweet treat with crust. I love a good pineapple crunch bun. 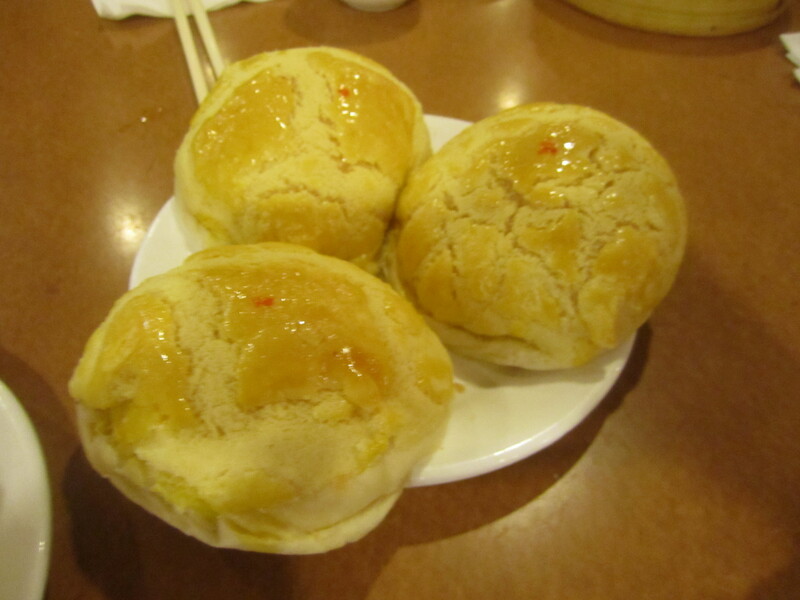 China Pear has one of the freshest buns and I like the crackled crumbly topping and sweet custard filling. 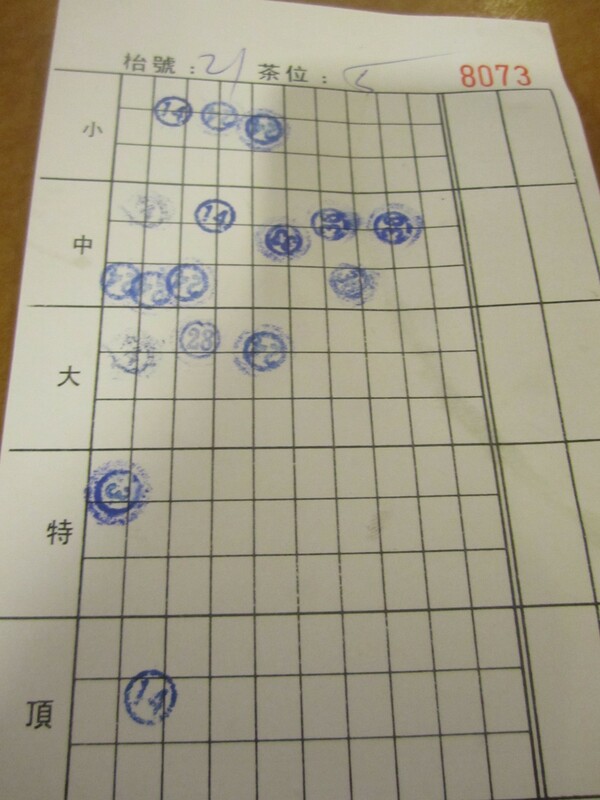 The check with the individual dishes’ stamps. There were many items we passed up including rice congee, spareribs, gelatin and other fried foods. Another time.